Do you have lots of questions about starting a pest control service? Well, we’re going to answer your questions in this blog. Let’s start with price. Most pest issues can be priced over the phone. So just give us a call any time. 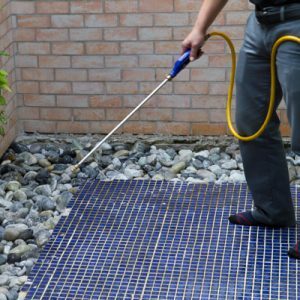 What Does General Pest Control Service Include? It’s up to you! You can make your service preferences known, and our technicians will accommodate your preferences. We allow you to decide if you want just outside service, or outside and garage only, or interior/exterior on every service visit, etc. A typical service call begins with the technician removing spider webs from the accessible areas around the home. Then, depending on your frequency, the technician applies a residual insecticide around the outside. (The technician will do this on every visit if you have a quarterly or bi-monthly frequency.) Then the technician moves on to the Interior treatments for doorways, window sills, baseboards, etc. The best way to answer this question is to consider your own feelings about bugs. Bi-monthly is much more proactive as a service frequency, whereas, quarterly is the most inexpensive and easiest for the customer. However, all general pest services start with two back-to-back monthly service visits. Therefore, quarterly clients are serviced 5 times the first year, bi-monthly 7 times, etc. When thinking about frequency, you might also want to consider that most pesticides break down before 90 days. This might be a problem for quarterly service, but you can always move your service visit up if you see a problem developing.